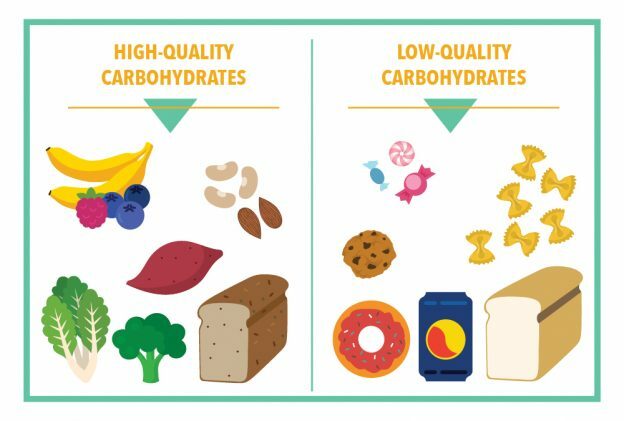 Carbohydrates are the body and brain's preferred fuel source and repeated studies have found that low-carb diets impair endurance performance. It is the Position of the Academy of Nutrition and Dietetics, Dietitians of Canada, and the American College of Sports Medicine that competition and key training sessions should be performed with high carbohydrate availability. Generally I recommend that clients eat something before they exercise to make sure they get the most out of their session. However, there might be some benefits in doing the occasional carb-fasted workout. There have been a handful of studies showing metabolic adaptations when athletes performed workouts in a carb deprived state - usually by doing the session in the morning before breakfast. Until recently, while these studies might have shown a metabolic adaptation, because the athletes were unable to perform their session at a high intensity (due to the lack of carbs), such studies were unable to show a performance benefit. A recent study on 21 triathletes examined the effect of keeping overall daily carbohydrate intake high but performing a hard interval session in the evening, having a zero-carb dinner and then an easy one-hour workout before breakfast. The carb-fasted trainees saw significant improvements in cycling efficiency, high-intensity cycling performance, and running performance within a triathlon time trial. If you do want to have a go at the occasional fasted training session - say, once or twice a week - the easiest approach is to go first thing in the morning before breakfast. Save it for your easy sessions, not for an important interval session or time trial. Make sure you take a gel with you as you can feel truly awful in a carb-deprived state. Some other ways of rescuing the session so you can maintain some intensity are to use caffeine, which can reduce perceived effort or mouth rinse (and spit out) sports drink which gives a central nervous system effect. Make sure you eat your carbs and protein after your session to refuel your muscles, and then eat normally for the rest of the day. Focus on good quality carbohydrates like fruit, starchy vegetables and whole grains.